Don’t think about pink elephants. Shame on you. You’re doing it aren’t you. What is it about people telling you not to do something that makes them want to do it? Post speed limit signs and the general driving population will always go about 5 mph faster whether that brings the speed up to 25 mph or 70 mph. Tell people they can’t bring in outside food and drink and suddenly law-abiding soccer moms hone smuggling skills that would make cocaine dealers jealous. Tell people they can’t take pictures and by golly almost every single one of them tries to capture that forbidden fruit on film. Except me, of course, I am a rule-follower – except this one time. But this is the only time… I promise. 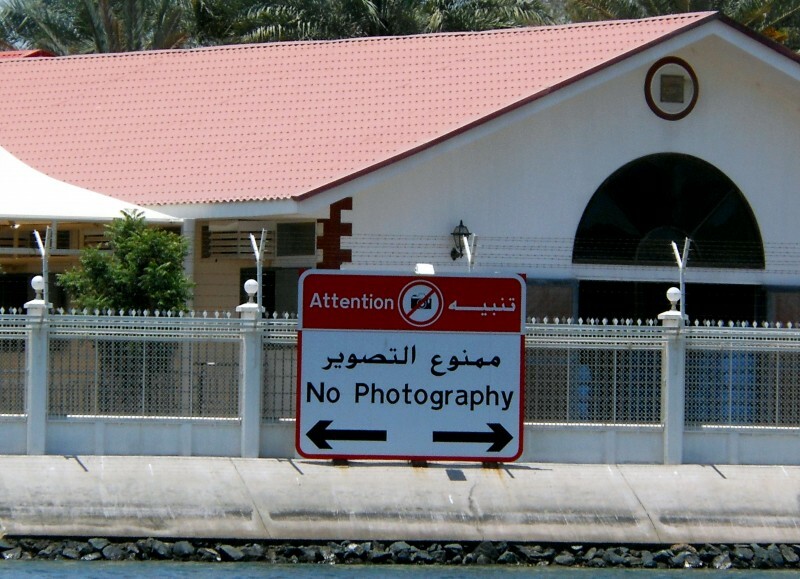 Don’t take photographs… unless you are feeling rebellious, then go crazy. Wait. Did I just make that last part up? 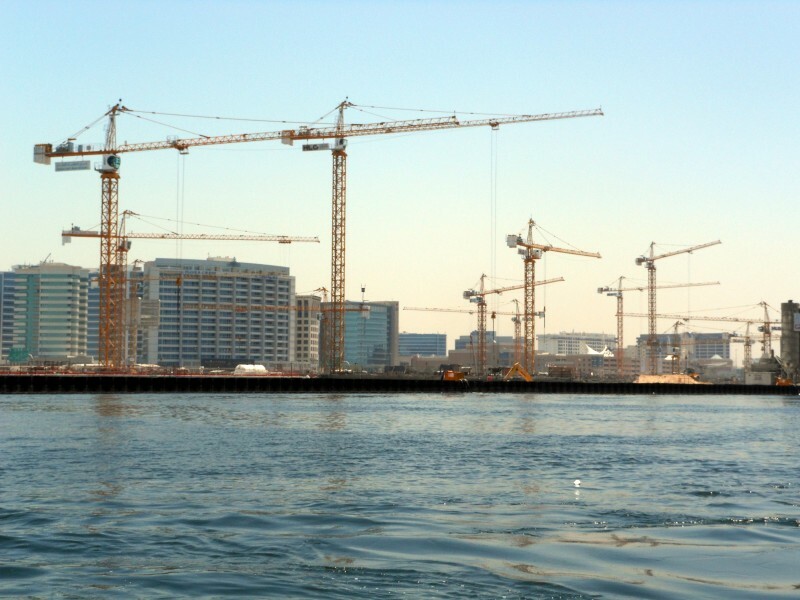 Anyway, rebellion aside, here are my five favorite things about the Dubai Creek. 1. The old and the new. 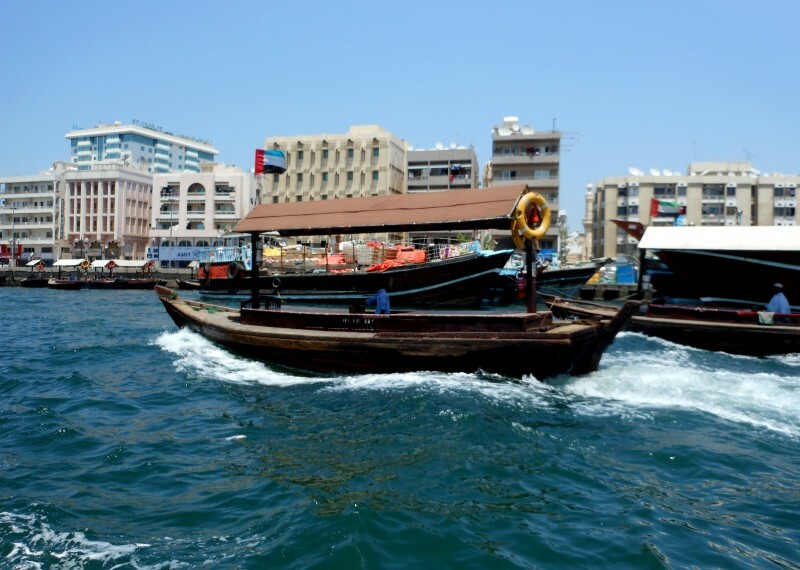 Dubai is a big mix of old and new and the waterfront was no exception. 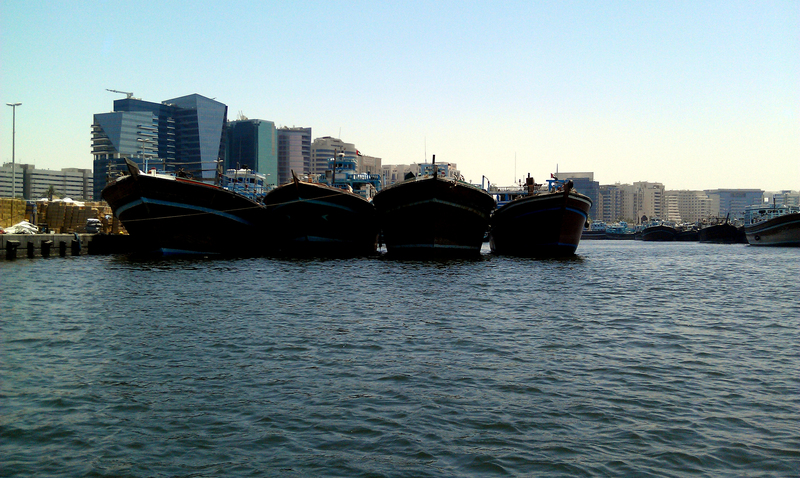 Boats and buildings along the Dubai Creek. Lots of cranes on that river. It was really kind of beautiful, albeit, I think these kinds of cranes might be a bit prettier. Okay, so this one was hard to capture on film but I swear, it was one of the best things. 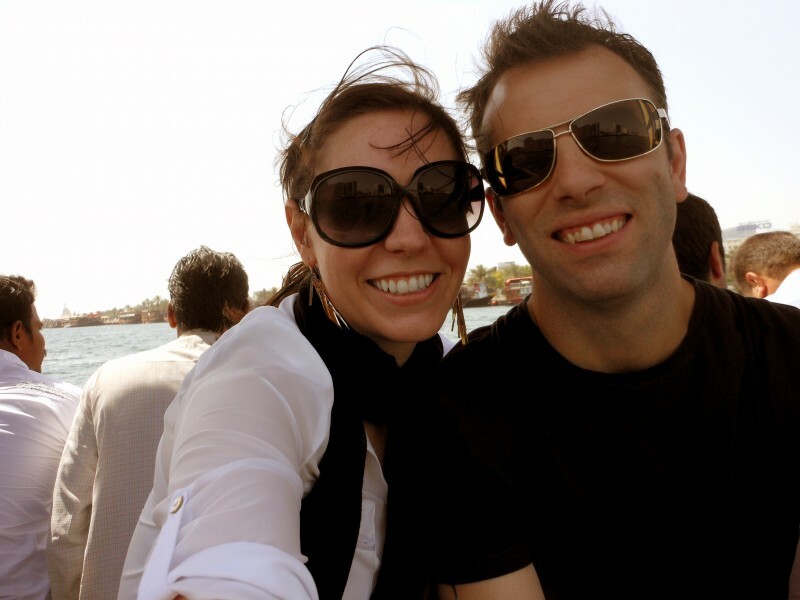 Dubai was hot but being on the water was a breath of fresh air. The boats and the breeze were moving right along. 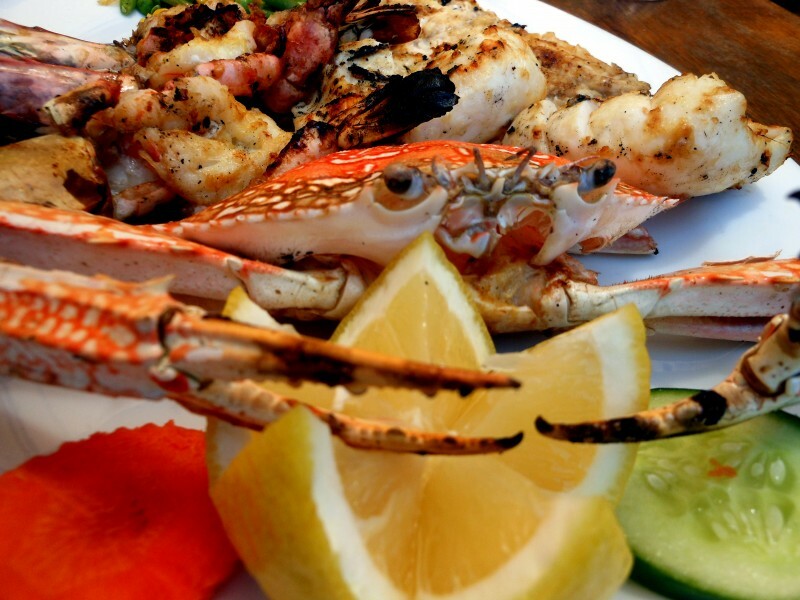 We grabbed a quick bite to eat along the waterfront at Bait Al Wakeel and had a very colorful seafood platter next to the very beautiful waterfront. This was our friend, the crab. We ate him. He was good. Dubai marked the first time in a long time I’ve tried the hold-the-camera-away-from-your-face-and-hope-for-the-best pose. Not too shabby. Using the wind as my prop. 5. And of course, the views. 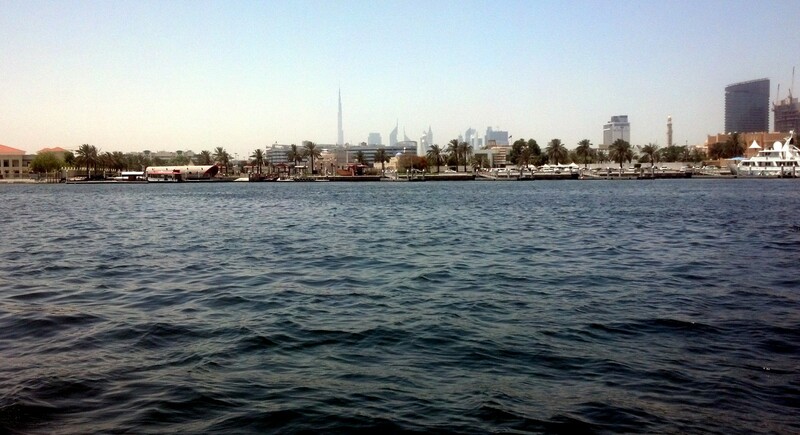 Check out Burj Khalifa – it’s about 5 miles away at this point. Read more about it here! 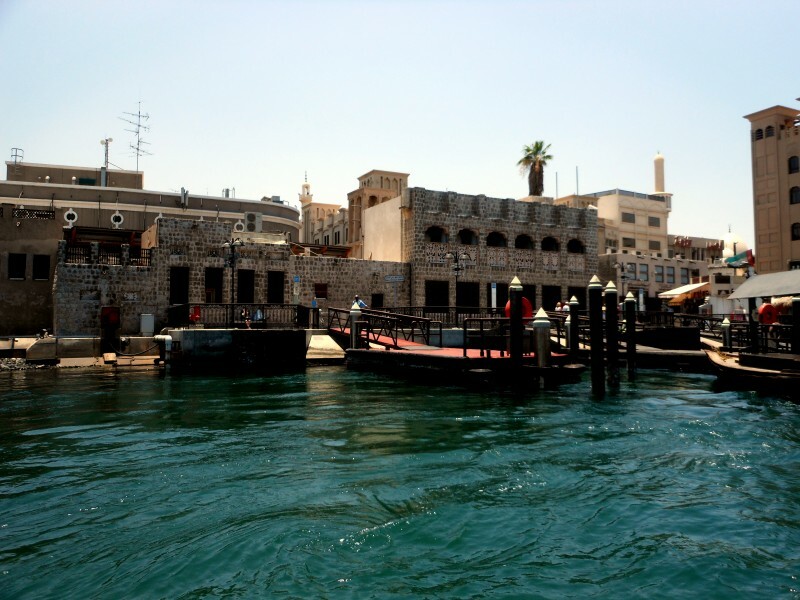 Along the Dubai Old Souq Marine Transport Station. 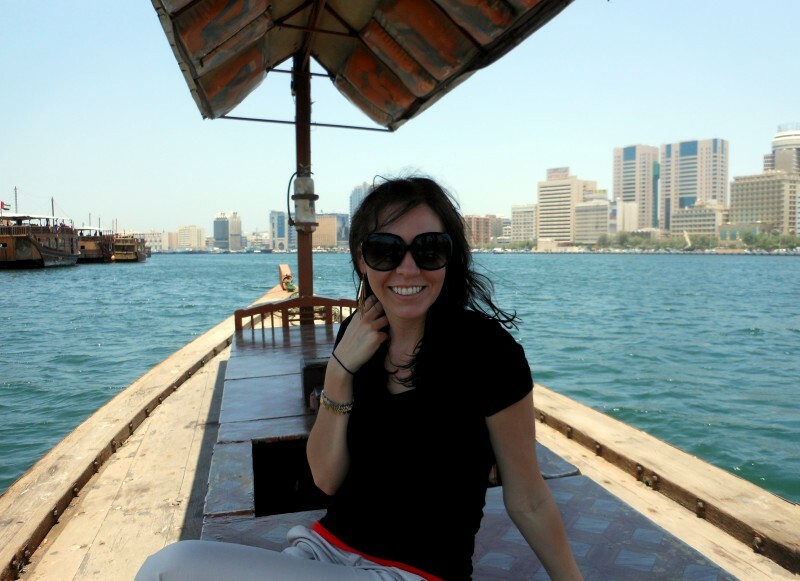 We got to go out on the Dubai Creek two different times. The first was a quick river crossing in a water taxi and the second was when we hired one of the boats to take us on a 50 min. cruise up and down the creek. Okay, I’m off to Colombia this morning. 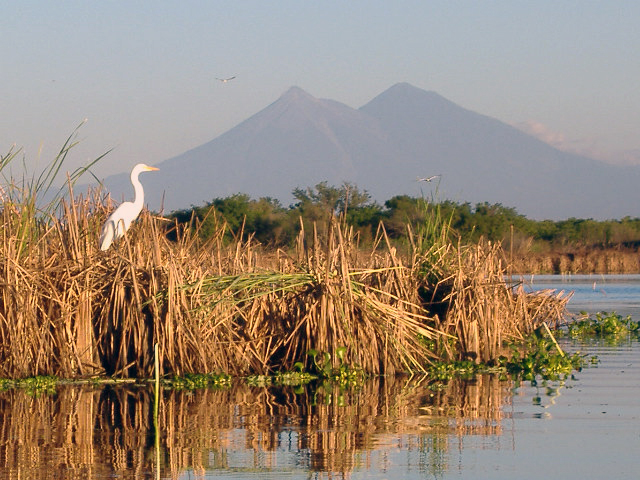 Enjoy your weekend and if you want to know what I’m doing as I do it on my trip – like me on facebook or twitter!